VERY proud of my Wowpretty team. 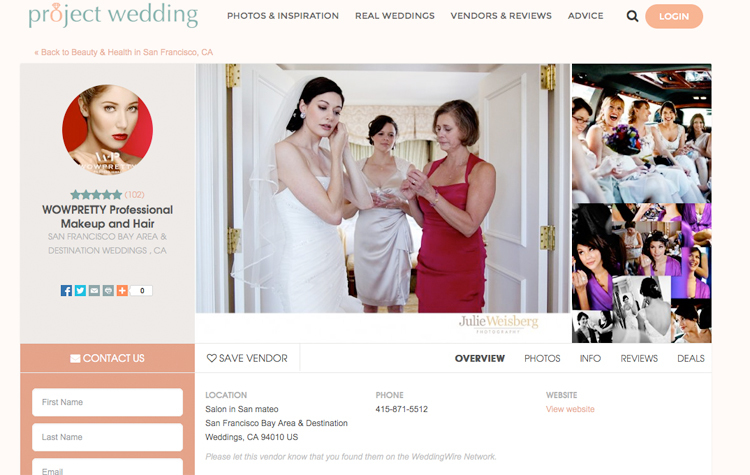 We have 102 reviews on Weddingwire.com and Projectwedding.com. We got the most reviews in the Northern CA “Beauty and Health” category as same as we got also Yelp.com Thank you to my girls for all the hard work again!!! !